In the previous article in the series on Strategic R&D Management in AgChem and BioScience, I wrote about Strategic R&D Management in the Crop Protection Industry. In this fifth article of the series, I write on Managing Innovation Processes in R&D. Innovation can be defined as the identification of new solutions (products and applications, business strategies and organisational innovations), or as the identification of improved solutions to adapt to changing requirements or markets. “Innovation has nothing to do with how many R&D dollars you have. When Apple came up with the Mac, IBM was spending at least 100 times more on R&D. It’s not about money. It’s about the people you have, how you’re led, and how much you get it. “– Steve JobsInnovation is not restricted to R&D, nor to management levels within the organisation, and requires participation across the organisational matrix (e.g. product development, manufacturing and marketing) and at every level (from corporate management to expert), in order to ensure the generation of new solutions. Innovation typically begins with the generation of ideas which may be formulated as hypotheses, able to be tested and evaluated. Innovation may be driven by producer “push” (based on existing or novel technologies, for which newer, more profitable applications are developed) and market “pull” (areas where customer needs are addressed, and solutions developed). For both drivers, an understanding of both market and technical issues are needed, requiring multi-functional development teams comprising both commercial and technical participation. Increased competition constantly reduces the product lifecycle of products, forcing companies to reduce time-to-market. As a consequence, Innovation managers seek to decrease development time, using innovation management techniques appropriate for the companies R&D portfolios. Innovation Management combines the management of innovation processes as well as the management of change and development within the organisation (Change Management) in the context of product-, process- and organisational innovation. Innovation Management facilitates the ability of an organisation to identify an opportunity, and to create and introduce new strategies, processes, or products. One of the key challenges to Innovation Management within mature R&D organisations is the risk of complacency on the part of the R&D team, and a lack of willingness to change. To reduce this risk, mature corporations can consider introducing a degree of entrepreneurial and innovation culture within their R&D teams, and start-up best principles can be used as inspiration. While innovation sentiments often receive approval from top management (responsible for corporate vision), middle management (responsible for compliance with budget and productivity) is generally less willing to deviate from quantitative performance measures (such as Key Performance Indicators, KPIs). For Innovation Management, some form of quantitative innovation measurement is thus needed to ensure that performance objectives are reached, while providing conditions conducive to leading innovation in R&D (see Chapter 8). Innovation Management and the measure of the innovation performance challenges conventional Project Management techniques and organisational structures. Addressing these challenges requires an innovation perspective, and successful Innovation Management ensures managers and R&D teams are able to cooperate with a common understanding of processes and goals. Giving researchers the autonomy to introduce and test innovation through development methodologies based on iterative development (such as AGILE methodology) and pilot projects, and to create alliances and network across the organisational matrix can contribute to developing an innovative, entrepreneurial mindset within the R&D organisation. Innovation alliances and networks may lead to the need to formalise cross-matrix alliances and introduce new R&D teams. Within organisational matrixes, vertical value chains (Figure 7.1) ensure fast and targeted innovation for specific end-products, but tend to provide few synergistic opportunities. In cross-matrix alliances, horizontal value chains may slow down product innovation, but may offer many synergistic opportunities. For companies investing heavily in innovation and development, it may be necessary to radically restructure the organisation of the company to adapt to the requirements for both incremental and iterative development frameworks. Figure 1: Vertical and Horizontal value chains in a matrix organisation. In the 1990s, Lufthansa successfully implemented this strategy in a turnaround of the failing company, by “flipping” their organisational structure in a process of strategic renewal. Individual functions, such as catering and maintenance (previously part of the horizontalvalue chain) became autonomous business units (for example, SkyChefs AG and Lufthansa AG) and thus components of a fast and targeted vertical value chain. For mature companies, incremental development of existing assets can appropriately be managed by so-called Gated Processes. A Gated Process is part of an innovation or project management framework in which a development process is divided into distinct stages, separated by binary decision points (go – no go) known as “Gates”. However, overly strict adherence to a Gated Process may lead to an inability to significantly develop the desired innovation outcome, resulting in the rejection of a project due to its inability to deliver a viable competitive product. For Gated Processes in the development of Defensive Core Portfolios (see Chapter 5), innovation is typically incremental (the linear optimisation of the existing assets and strategies), and Time (efficiency) is an appropriate milestone of success. These processes are typically driven by economic considerations and measured in terms of quantitative, output-based Key Performance Indicators (KPIs). For these incremental innovation strategies based on a need to defend and develop a core business portfolio, strategic communication has traditionally been top-down in accordance with a “command and control” leadership mindset, coupled with a task-orientated skill set on the part of the “bottom” or executing organisational level. In these organisations, business strategies are typically determined by economic Risk and NPV (Net Present Value) analyses, as positive NPV increases the value of the company. However, NPV is inherently deficient as an innovation portfolio management tool. NPV analyses do not sufficiently take strategic position into account – for example, they typically do not account for option value (“can we use this in the future?”), synergy or cannibalisation. 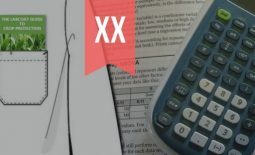 Other conventional management tools such as Scoring Matrixes (the analysis and scoring of multiple averaged factors) essentially have the same flaws as NPV analyses, with the added complication of being based on averages. In an extreme example, teleportation would score high on all market and strategic parameters (but low on a single factor: feasibility! ), leading to high average rating and the risk of being chosen as economically attractive (but decidedly unfeasible) development project. Recent shifts in technology opportunities and market demands have created a need for increasing levels of disruptive development, requiring the inclusion of iterative innovation strategies (“Fuzzy-Gate” or Iterative Processes). Figure 2: Iterative vs. Gated innovation processes. For new companies and start-ups, an Iterative Process for innovation management can be particularly appropriate. For Iterative Processes, innovation is measured in terms of Learning (recurring cycles of timely feedback and adaptation). Iterative processes are driven by Vision and may be measured by qualitative, input-based key performance indexes (Figure 2). An Iterative Process (ideate – develop – adapt – iterate) is part of an innovation or project management framework in which a development process is repeated such that its experimental findings are applied to the results of its preceding processes, to obtain successively closer approximations to the solution of a problem. Iterative innovation strategies often require an entrepreneurial mindset across the organisation, with shared strategic communication as a vital component to ensure integration of feedback into the business strategy. In these organisations, “vision and delegation” leadership mindsets are coupled with a process-orientated (rather than task-orientated) skill set on the part of the “bottom” or executing organisational level. Accordingly, the organisational structure of a company often determines the type of innovation process possible. In matrix organisations, top-level corporate management provides strategic vision and guidance to the organisation by communicating business strategy, and by mapping business strategy to functional strategy. Figure 3. Ideal organisational structure for companies investing in innovation and development. Bottom-level experts or “executors” act as sensors with respect to client response and needs, and upward communication must be facilitated to ensure the integration of Learning (Adaptation) into business strategy, through the implementation of Inclusive Strategic R&D Management frameworks. In the sixth article in this series on Strategic R&D Management in AgChem and BioScience, I write on Inclusive Management Frameworks for Strategic R&D.